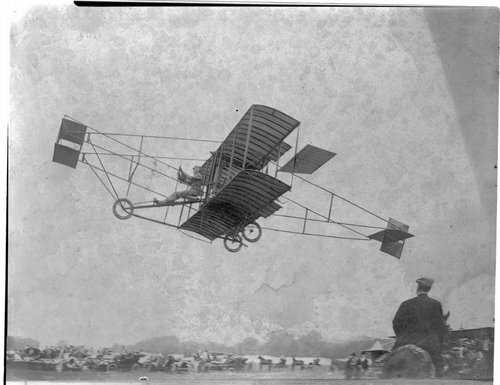 This photograph shows Eugene Ely in flight at Wichita's first air meet at Walnut Grove Park. The other pilots flying Curtiss biplanes at the event included James "Jimmy" Ward, C.C. Witmer, and St. Henry.